Product prices and availability are accurate as of 2019-04-11 17:31:12 EDT and are subject to change. Any price and availability information displayed on http://www.amazon.com/ at the time of purchase will apply to the purchase of this product. 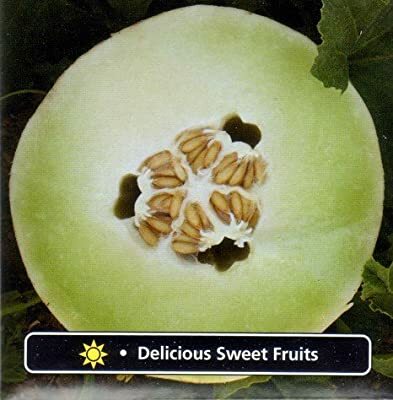 Sweet, firm, light green flesh fills smooth, slightly oval fruits. Disease tolerant. SOW in full sun after danger of frost, spring to early summer. In rows 18-30"" apart, sow seeds about 3"" apart and cover with 1"" of fine soil. Firm lightly and keep evenly moist. Seedlings emerge in 7-14 days.